Michigan State has been a perennial powerhouse in the Midwest region. They are one of the oldest programs in the region, and have been a team to watch for their entire existence. 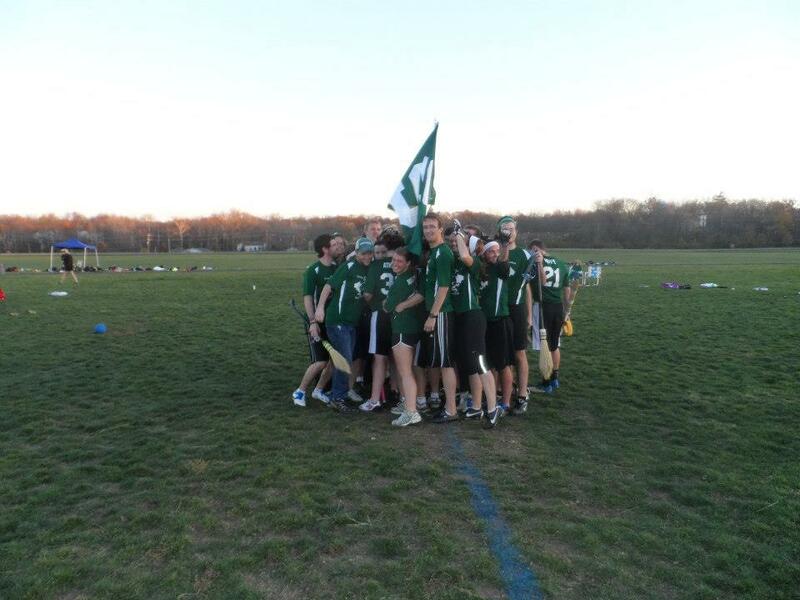 This year, MSU has taken first place in three of the five tournaments they have attended (Great Lakes Conference, Glass City, Spartan Quidditch Bonanza), and reached the semi-finals in the other two (Midwest Regionals, Dumbledore Memorial). This has been a very successful year thus far for MSU, and they’re looking to continue that streak in Kissimmee. Key Players: I have to mention keeper and team USA member Lawrence Lazewski, who has an incredible long shot and blazing speed. Lazewski tends to do the majority of MSU’s scoring, but he is in no way their only threat. Chaser/Seeker Jacob Heppe is every bit as fast as Lazewski, with an extra dose of physicality and the ability to power through defenders. In addition to his skill as a chaser, Heppe is an incredible seeker, and has won his team many close games with sensational snitch grabs. Beater Zak “Batman” Malott is a fearsome opponent and everything you could ask for in a beater. He has good speed, great awareness, brute strength, great catching, and is one of the most physical beaters you will ever come across. While Malott wasn’t even starting for MSU this past weekend at SQuiB, he made a huge impact every time he went on the pitch. He won back bludger control with seeming ease, either through clever dodges and beating the opponent to the bludger or spectacular catches while wrestling with another beater for a ball, Malott is a huge threat at the beater position. Players to Watch: Chaser/Keeper Nic Dziadosz is a regular contributor on offense and defense for the Spartan Spitfires. He is one of the taller players on their squad, and uses his size to make catches over defenders and score easy goals. On defense, he cuts down passes and shots that many players wouldn’t even try for. In addition, Chaser Ian Hoopingarner is a power threat, and can drive in against just about anyone. He pairs this ability with speed, and it is not uncommon at all to see Hoopingarner put the first ten points on the board before opposing teams have even secured their bludger. Chaser duo Meyessa Mansour and Danielle White can do some damage to unsuspecting teams. Mansour is a solid scoring threat, and White has great speed and determination, and will always get to loose balls first. While they’re not the scariest players on this roster, if they’re left unchecked, they can do some damage. Strategy: On defense, MSU plays a very unique zone defense designed to cut down long passes and shots. This zone is highly effective at stopping ranged scoring against all but the best of long shooters. Also, with beaters who stay near the hoops, this zone is effective at stopping close range shots as well. On offense, MSU relies heavily on a fast break offense, and tries to catch defenses off guard as often as possible. Strengths: MSU has incredible speed at every position, and their attack is balanced enough to put points on the board against anyone. Even if you can stop one or two of their players, the rest of the team is still deadly enough to put points on the board. Weaknesses: MSU doesn’t have any gaping weaknesses. They are a very solid team all-around. That said, they don’t have a whole lot of players with size, and prefer to rely on their speed. They can and do play physically, but against teams with a lot of size, MSU can be in some trouble. Prediction: I see MSU as a Sweet 16 team easily, with a chance to go as far as the final four if their seekers continue their incredible run they’ve shown this semester.